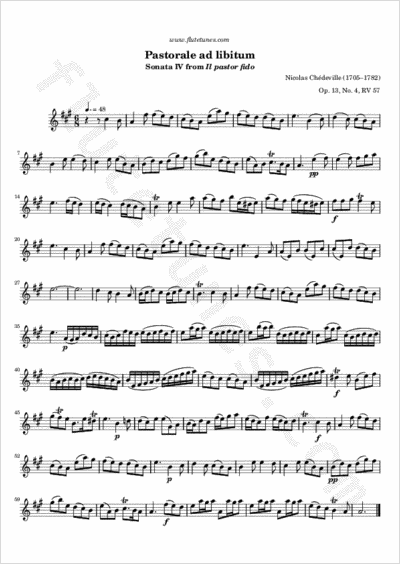 This Pastorale for flute, cello and organ is taken from the fourth of the Il pastor fido sonatas, composed by Nicolas Chédeville but traditionally attributed to Antonio Vivaldi. This calm, graceful movement is marked “con tenerezza” (“with tenderness”) in some editions. Thanks to Lucas for suggesting this piece!